This is a look at the comet Tempel 1 through a telescope. The active regions are responsible for the bright jets (left). With the help of their computer simulation the MPS-scientists can reconstruct the image seen from Earth (right). A new computer model could help scientists locate activeregions in comets where particles of dust spew off the surface of the comet'srock-like nucleus. Traditionally, it has been difficult and dangerous to studycomets ? particularly up close ? because the dust outbursts have the potentialto damage space probes. The new computer model, developed by scientists from the MaxPlanck Institute for Solar System Research (MPS) in Germany, will helpresearchers locate these active regions using only information available fromEarth. This new method of studying comets from afar couldhelp scientists calculate a safe flight route for the European Space Agency'sspace probe Rosetta,which is scheduled to arrive at the comet Churyumov-Gerasimenko in 2014. A comet'snucleus is far more complex than an unvarying chunk of ice and dust. Underthe sun's influence, volatile substances such as water, carbon dioxide andcarbon monoxide are emitted from certain regions on the nucleus' surface ? theso-called active regions. These active regions carry dust particles into space, andseen from Earth, the dust formations look like jets or spiral arms that surroundthe comet. These structures are normally hidden behind a veil of gas and dustcalled the coma. 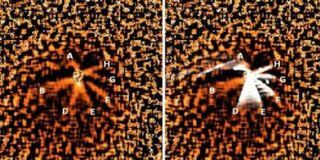 "Pictures taken from Earth show the comet and its jetsas a two-dimensional projection," said Hermann B?hnhardt from MPS. But, without more detailed pictures or models, it isdifficult for scientists to tell where the dust particles and gases originate. To compensate, MPS researchers tried to localize a comet'sactive regions using an indirect approach that for the first time also accountsfor the three dimensional shape of the comet. "Until now, computer programs trying to find the activeregions assumed the comet as a sphere or ellipsoid," explainedJean-Baptiste Vincent from MPS. These assumptions are often insufficient, since in reality, cometscan have unusual shapes. So, the researchers decided to take a differentapproach: by watching a comet for an entire rotation period, they use changesin its brightness to calculate its true form. Next, the researchers feed the program an initial assumptionof where the active regions might be located on the comet, along with estimatesof the physical properties of the dust particles, including size and initialvelocity upon emission from the comet's nucleus. The resulting computer simulation delivers an image as itwould be seen through a telescope on Earth. By comparing this with the actualimage through a telescope, the model can be further refined step by step untilthe simulation and the actual image are congruent. This new method has already passed its first test: Thescientists were able to successfully apply it to the comet Tempel 1,the destination of NASA's DeepImpact Mission in 2005. "Even though ever since this mission we know whereTempel 1's active regions are, we pretended not to," Vincent explained. Using their computer program, the scientists only appliedinformation that was available from Earth-based observations ? except for thenucleus shape model that was adopted from the Deep Impact mission's results.The method was successfully able to produce a simulated image showing Tempel1's active regions that matched what had been seen through a telescope.? Moving forward, the researchers plan to calculate the activeregions of the comet Churyumov-Gerasimenko, the planned rendezvous target for theRosetta mission. The Rosetta lander Philae is expected to touch down on thecomet in late 2014. The Rosettamission has been en route to its destination beyond the orbit of Mars andthe asteroid belt since launching in 2004. At crucial junctures of the mission,this new method could help determine a safe route for the Rosetta probe throughthe cometary coma, and could even assist in finding a suitable landing site.